How do you put a solid process in place that tracks incidents and manages investigations? How do you identify security incident reporting trends? How do you create workable solutions to problems? Start with electronic workflow! Paperless software solutions give you an edge. Electronic workflow eliminates lost incident reports. Accurately recording events from beginning to end streamlines security operations and ensures all information is documented. How much more valuable is the security guard or the concierge when events are handled according to best practices tailored to your organization! Electronic workflow greatly boosts productivity. It minimizes, if not totally eliminates, duplicate data entry and human error. Data is typed once. Incident reports route digitally to supervisors for review and approval. Information is shared with others without paper forms. Pushing paper around is expensive and harmful to our environment. Electronic workflow is using technology to simplify organizational processes and put best practices in place. A well-designed system starts with the user experience and enhances productivity across the organization. It doesn’t require radical changes in behavior. It doesn’t force officers to adapt to awkward processes that serve the technology more than the user. Electronic workflow enforces security levels and permissions with role-based access control. Audit trails track user actions with a date and time stamp. Distinct locations (departments, divisions, etc.) allow separation of data in large organizations. Access to sensitive reports is restricted to users with confidential permissions. An independent study done for the State of North Carolina showed the real cost to fill, validate, sign, submit and manage paper forms is $150.00 each. According to the U.S. Environmental Protection Agency (EPA), the average U.S. office worker prints 10,000 pages of paper per year. That’s 112.5 pounds of paper for each employee—per year! See our free Infographic for more environmental statistics. 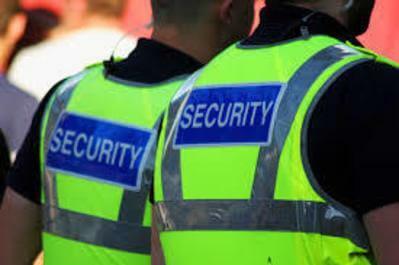 When it comes to the security of persons and physical locations, it’s important to be proactive. Facts based on accurate and complete data supply the means to proactively manage resources with confidence. Facts eliminate the guesswork in compliance. The burden of reporting to insurance companies, law enforcement, and others is minimized when you have electronic workflow to process your investigative reports. When you're ready to discover how electronic workflow streamlines and secures the integrity of your incident data call us at 866-773-7962 or email us. Presynct_OnDemand and NoteM8 are greening the environment one user at a time and saving you money doing it!